You’ve heard of hacks, right? For the uninitiated, a “hack” is something unique you do to your planner that makes it work specifically for you – something that really tailors it to your life. Planner hacks are designed to save time, add efficiency, and make your planner easy and fun to use. Woohoo! 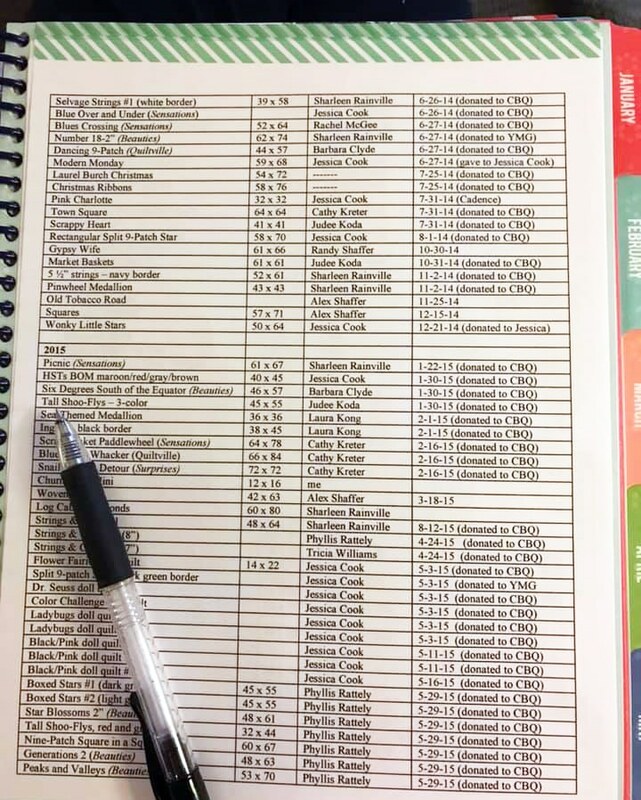 Three cheers for planner hacks! 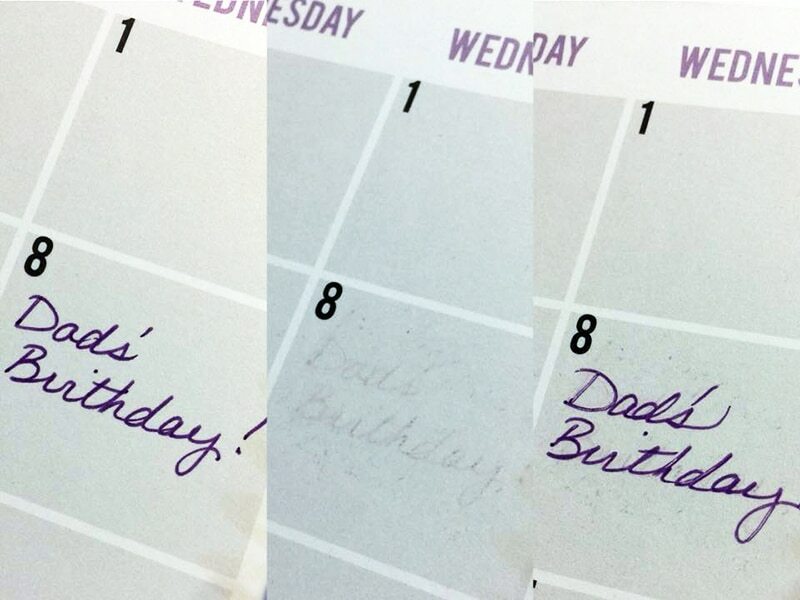 QP community member Jackie F. isn’t a fan of using a pencil in her planner since it can get smudgy over time, but schedules and plans often change. Some of us, myself included, don’t like crossing things out or using correction tape – so what’s a quilter to do? Jackie’s solution? FriXion pens! After reading Jackie’s hack, I immediately acquired some of these pens and love using them in my planner. They’re a big improvement for me, and I’ve said “so long” unsightly cross-outs and cover-ups! 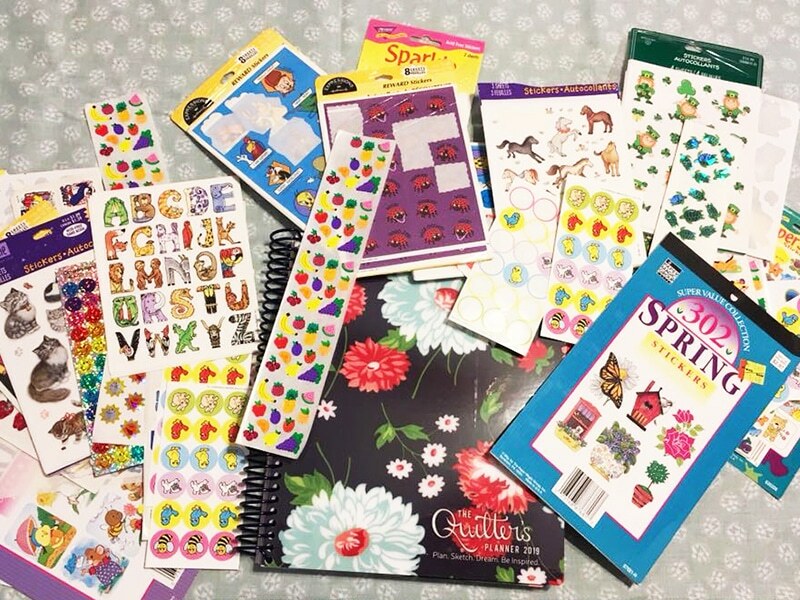 Stickers are a great way to add fun and function to your planner. They’re perfect for hacking your planner. A functional example? 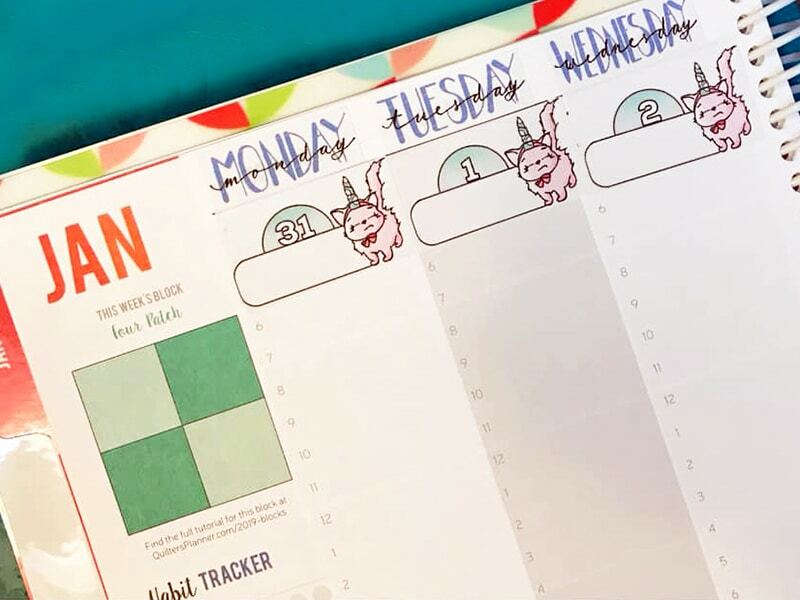 QP community member Laura A. is using stickers to change her weekly planner spreads from a Sunday start to a Monday start. This next hack, from QP community member Charyti J., may be considered more of an embellishment than a hack, but it’s so great that we wanted to share it with you because we think a “hack” that makes you smile is a great one! 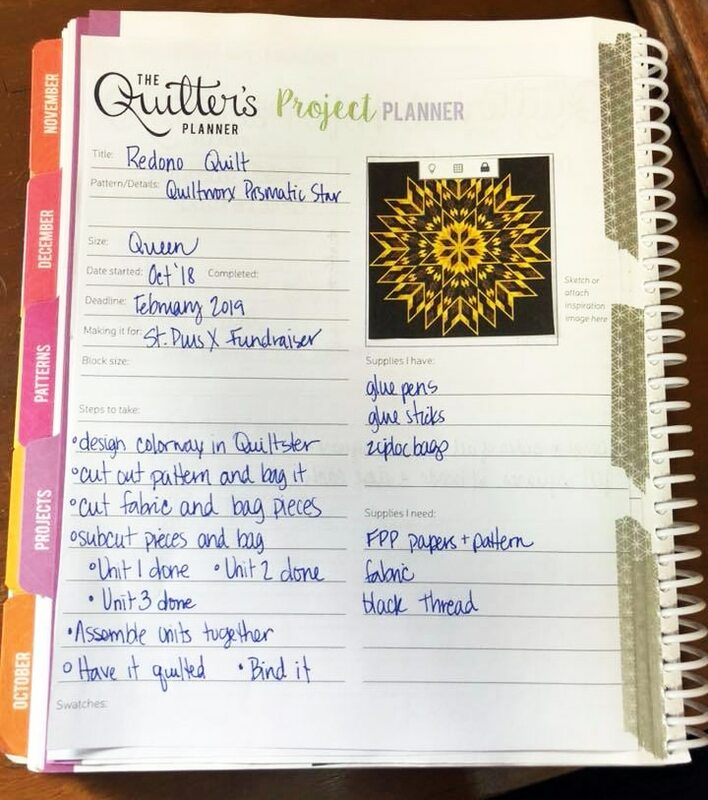 The creator of Quilter’s Planner, our fabulous Stephanie Palmer, posted this hack about how to add pages to a spiral book on the Quilter’s Planner blog a while back, and it’s so handy. 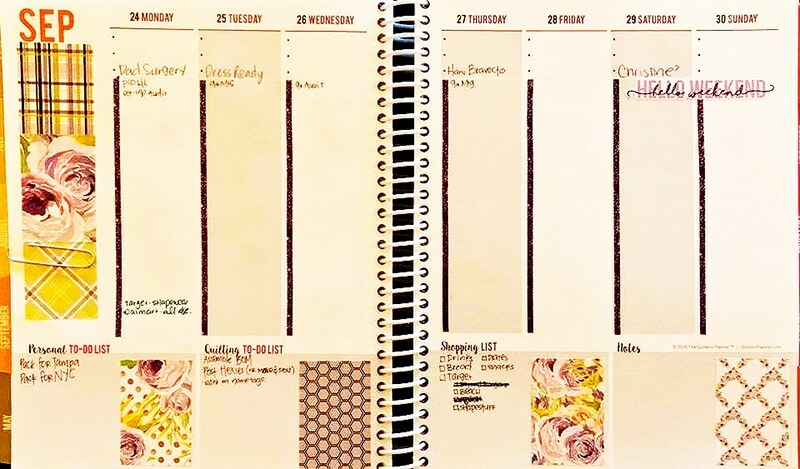 QP community members Amanda D. and Cyndi H. have used this hack to add pages to their planners with washi tape, along the side or along the top respectively. 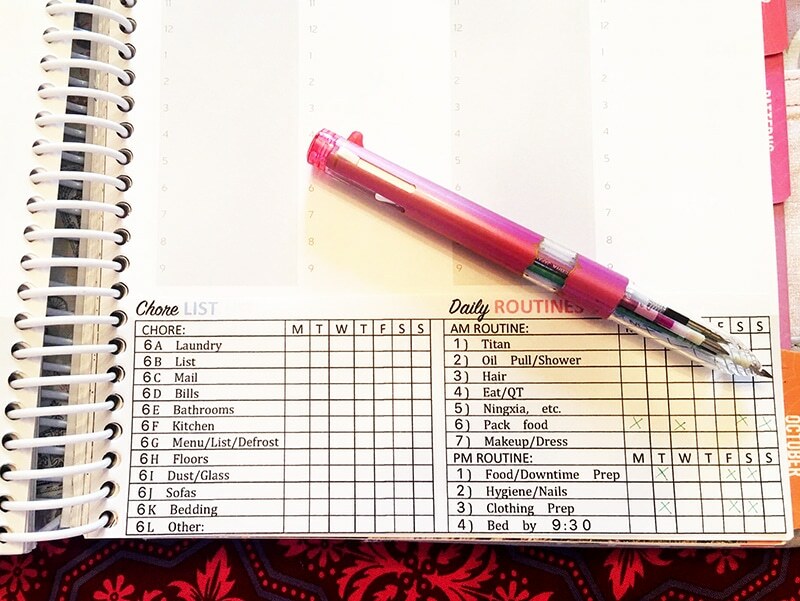 This next hack, from QP community member Suzanne M., is really handy when you’re switching from one planner to the next. QP community member Shelley M. created her own printable insert to save herself time and to help her stay on task. And finally, this hack from QP community member Deborah N. can help you to modify a pre-printed page. Stay Tuned for More Planner Hacks! We hope you’ve enjoyed this first batch of Quilter’s Planner Hacks! Big thanks to Jackie, Charyti, Laura, Amanda, Cyndi, Suzanne, Shelley, and Deborah for sharing their great ideas. 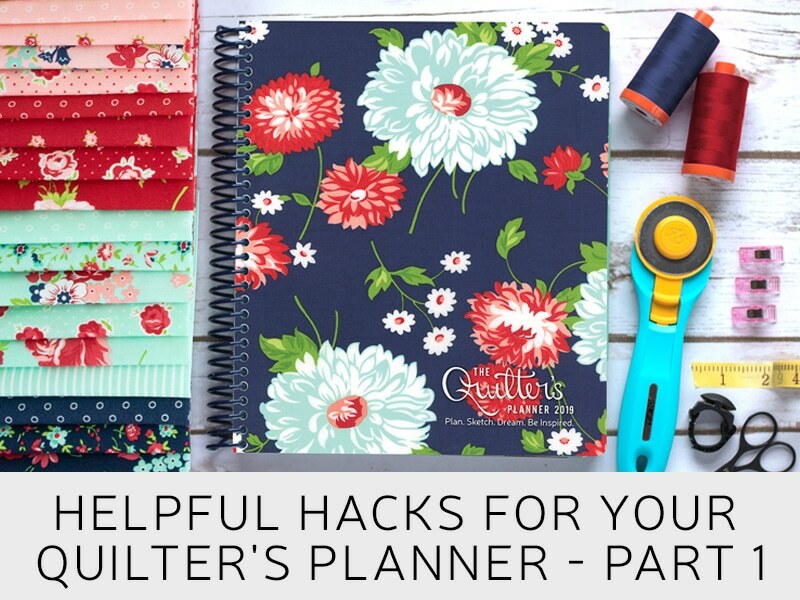 Please keep an eye out for our next batch of planner hacks, which is coming soon in Helpful Hacks for your Quilter’s Planner – Part 2!